It’s just past 5:00 a.m. where I live and I’m super excited about sharing the ending of Nicholas and Sophia’s love story with you. I’m up early waiting for the return of the book from the final edit. This book contains a lot of my heart and it’s been emotional to write. I don’t want to give away any details of TENSE – Volume 1 because many readers have written to tell me that they are waiting for Vol. 2 before they begin the duet. There is an event that happens to Nicholas that mirrors something that took place in my own life many years ago. That has made writing this duet both difficult and cathartic. I’ve gone over the book repeatedly to ensure that I’m giving justice to the characters and their experiences. I’ve started a new ARC list that will begin with the release of Troublemaker later this month. I’ll be posting a link for any readers who are interested in being considered for it later this week on Facebook. Although I’ve had legal issues in the past with the ARC list, I’m confident that we’ve developed a system that will work well going forward. I’ll be back with the links to TENSE – Volume 2 as soon as I have them. 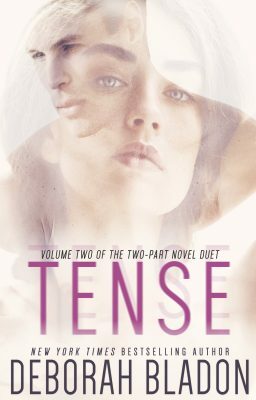 Is tense vol 2 out?